There are so many common mistakes that gym goers make that hinder their fitness progress. It can occur in the gym or involve external factors such as eating and sleeping. 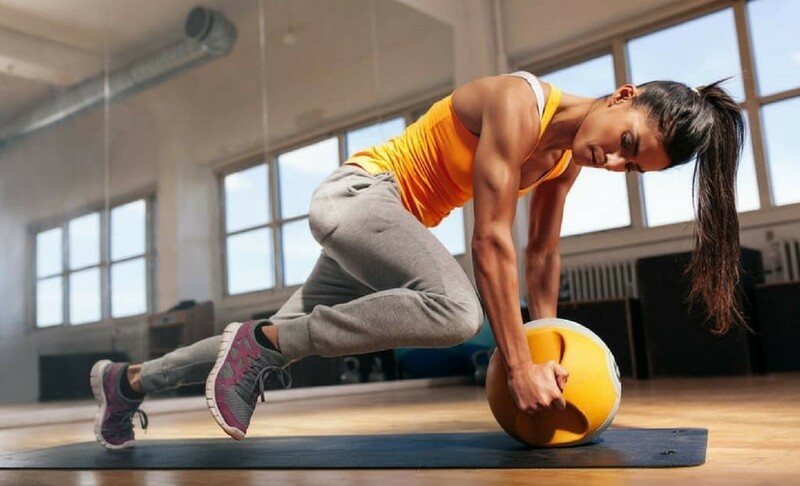 If you are not seeing the results that you want, then take heed of these common mistakes that prevent your fitness progress from really taking off, and make the necessary changes to solve them. Are You Making One of These 8 Mistakes That Are Hindering Your Fitness Progress? This is probably the biggest mistake oversight that gym goers make. You may be not eating the correct foods, eating too much or in some cases, not enough. Do you workout hard at every gym session and then go home to reward yourself with junk food? What you eat makes a significant difference to your fitness progress. Most people make the mistake that because they are training that it means they can consume lots of junk and sugary foods as a reward. In fact, it can be so detrimental to your progress and can be one of the main reasons why you are not hitting your fitness goals. While you shouldn’t become too overly obsessed with what you eat, try to eat healthily most of the time, and don’t forget to give yourself the occasional treat as well. On the other hand, you may be eating healthy foods most of the time but be overdoing it. Even though the foods that you are consuming are considered healthy, it can still hinder your progress if you eat too much. This is especially important to keep in mind if you are trying to lose weight. Not eating enough isn’t just about what you consume but the quantity. Some people tend to overeat while others may not be eating enough. If you are starving your body of the essential nutrients that it needs, it may cause it to hold onto that stubborn fat you are trying to lose, or minimize your ability to build size. You need food to fuel your body. Depending on your fitness goal – whether it is to lose fat, maintain your weight or build muscle and size – your dietary needs will differ. Make sure you are eating accordingly and you will be able to see what a difference it will make to your fitness progress. Training consistently is important but so are rest days. If you are constantly training and not giving your body sufficient time to rest, you can be potentially minimizing your performance. Your body needs to have time out so that it can recover properly and be ready for the next workout. Make sure you incorporate rest days into your workout routine so that you are not overtraining. One important aspect of overtraining and resting properly is not having enough sleep at night. If you are finding it difficult to get enough hours of shut-eye at night, you will find that this can affect your performance, hence slowing down your progress. It can be difficult to get enough sleep, especially in this on-the-go lifestyle. Try to set a sleeping schedule where you go to sleep and wake up at the same time. Doing this consistently will help it become a habit and your natural body clock will become accustomed to it. On the other hand, some people may not be working out enough to see the results they expect. Skipping the gym for a couple of weeks before smashing out an intense two-hour gym session one day will not compensate for the missed time. You need to make sure that you are heading to the gym on a regular basis. And what “regular basis” means does depend on your routine and preferences. You may prefer one-hour sessions five times a week focusing on specific body parts. Alternatively, you may choose to only do 2-3 full body workouts a week. As long as you are going consistently, you will see results. There are so many exercises that you use in your workout but depending on your fitness goals, you have to find the best workouts for you. It can be daunting knowing which ones are best, so investing in a fitness trainer or app that helps to simplify this process is a great way to help you in this area. One way to help make sure that you are doing the right exercises is by using a training plan. Heading into the gym with no plan except to use whatever machines happen to take your fancy will not get you results and your sessions will not be effective. Taking the time to plan means you can maximize not only each individual session but all your sessions as a whole. A way to assist with this is to keep track of training logs using a gym workout tracker. This will help you determine what workouts are getting you the results and which ones are not. Then you can really curate a training plan that gets you to your fitness goals faster. Not only will this mean that you are not getting the most out of your exercises but it can also be very dangerous. Before even picking up any equipment, make sure that you know how to use it with the correct technique. This will help to minimize time wasted on inefficient exercises so that you can get the results you want. More importantly as well, it will decrease the risk of injury. Sorry for the bad news but results take time. You need to regularly work out efficiently to see progress and unfortunately, this will not happen overnight. Putting in the effort to go to the gym for one week straight and expecting to see drastic changes will only set you up to be disappointed and lose motivation. Remain consistent, be patient and trust that what you are doing will get you the results that you want. There can be many potential ways that you are sabotaging your progress, hindering your ability to hit your fitness goals and this post covers the most common ones. If any of them resonated with you, try to incorporate some solutions accordingly into your workout and see if it helps your fitness progress. 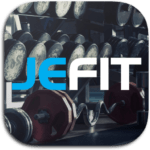 To help keep you from self-sabotaging your own fitness progress, invest in a gym workout tracker like Jefit. This way, you can keep track of training logs and make every workout an efficient one. It also comes with an extensive exercise library so you can choose the best workouts for you. Have you made any of these fitness mistakes and if so, how did you solve them? Let us know in the comments below, we would love to know!